A national survey promoted by President Donald Trump may not show that “50% of Americans AGREE that Robert Mueller’s investigation is a Witch Hunt,” as he tweeted. But it’s not clear which of Trump’s claims respondents were agreeing or disagreeing with — that the Russia investigation is a “witch hunt,” or that there have been more politically motivated investigations of Trump than other presidents. 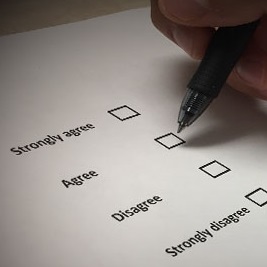 The survey question is “flawed,” Timothy Johnson, a past president of the American Association for Public Opinion Research, told us in an interview. Other recent polls indicate that Americans have a more favorable opinion of Mueller’s investigation into possible collusion between the Russian government and Trump’s 2016 presidential campaign. Trump, who has repeatedly referred to the nearly two-year-long investigation as a “witch hunt,” sent his tweet after the Suffolk University/USA Today poll results were released March 18. But the responses were based on a problematic survey question, some experts say. “The first problem is that it’s a double-barreled question,” said Johnson, who is also the director of the Survey Research Laboratory and professor of public administration at the University of Illinois at Chicago. A double-barreled question is one that asks respondents to answer two questions at once. Are they being asked if they agree that the investigation is a “witch hunt,” or that Trump has been investigated more often because of politics, Johnson said. Those who responded with “yes” could have been answering either question or both. Monmouth University Polling Institute Director Patrick Murray made a similar point about the Suffolk University/USA Today survey question in a Twitter thread on March 18. Another issue is that the question doesn’t offer a counter to Trump’s claim. “It only tells one side of the story,”Johnson said. He said it would be better to ask respondents if they agree that the investigation is a “witch hunt,” as Trump claimed, or if they agree that possible collusion is something that “needs to be investigated thoroughly,” as others have claimed. “It’s always the goal to be balanced,” he said. Also, only asking “do you agree” can lead to acquiescence bias, which is when respondents are likely to agree regardless of the content of the question, Johnson explained. “Some in our population will agree with any statement” that is presented to them, he said. The Suffolk University/USA Today survey is not the only one that has tried to measure how Americans view the Mueller investigation. Here are the questions and results from six other polls taken in the last five months. Some indicate there’s less skepticism of the special counsel’s probe. The post Trump Touts Questionable Survey Results appeared first on FactCheck.org.